Austin Ranks 3rd Among Fastest Growing Economies in U.S. US Bureau of Economic Analysis states that the Austin economy is one of the fastest growing economies in the U.S. Find out why you should invest in Austin. Learn the issues on the Austin ballot and go vote on Election Day 2015. Use our Travis County voting guide to answer questions like what is Proposition 1? With a $50,000 match fund, Realty Austin helps Foundation Communities achieve their $1M fundraiser goal for supporting Affordable Housing in Austin. Discover where to go pumpkin picking in Austin TX and pick your own pumpkin this Fall. Find pumpkins for sale at an Austin pumpkin patch near you! 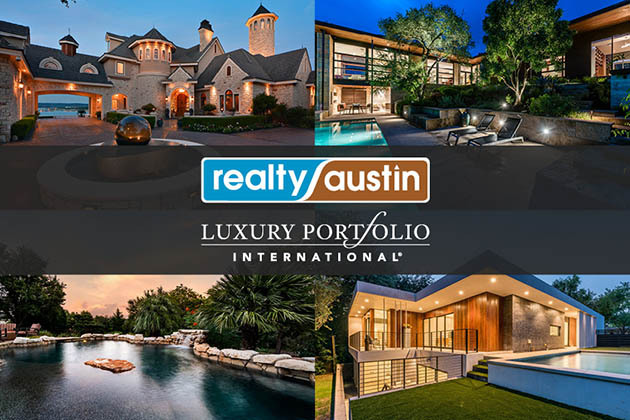 Realty Austin is proud to announce our new partnership with Luxury Portfolio, the fastest growing network of luxury homes and luxury real estate.